Join us for a close up look at our mountain farm! 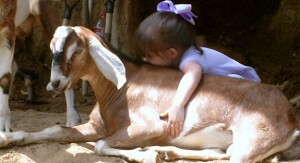 We’ll take you “behind the scenes” where you can pet farm animals and feed them by hand. You can help us look for eggs, learn about how the pioneers farmed, and try your hand at carding wool from our sheep. 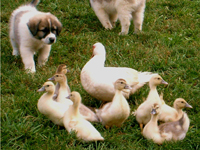 Depending on the season, you might get to help bottle feed a baby goat or lamb, see newly hatched ducklings, or try out milking a goat or cow. There’s always something going on at Randall Cove Farm. Behind-the-Scenes Farm Tours are available daily by reservation at 3:30 PM, starting from the barnyard. 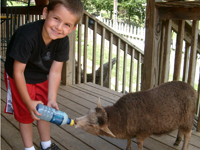 Farm Tours are $5.00 per person; children 2 years and under are free. We ask that children 12 and under be accompanied by an adult. To sign up for a Farm Tour, email us at info@RandallGlen.com or call 828-683-5758., and you’ll be part of it!